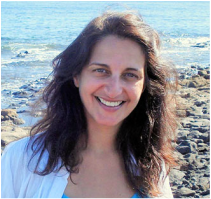 Shamanic Practitioner Shraddha Bhagalia offers Shamanic and Energy Healing - Soul Retrieval, Extraction and shifting energy blocks. Shamanic Journeying - Level 1. Villa Amatista, Lanzarote, Spain. "...I adore Purple: the radiant, glittering, geometric crown which pinpoints and enables me to use my precious wisdom to manifest whatever I (or wondrous souls around me) need. I adore it because it tells me who I am: Purple materializer of worlds beyond, manifesting by dragging and pulling the plasticine of the ethers and shaping it into recognisable form...."